In a 2016 broadcast of NPR’s Fresh Air, author and cultural anthropologist Gretchen Bakke characterized America’s energy grid as “increasingly unstable, underfunded, and incapable of taking us to a new energy future.” Nevertheless, the steady march toward progress continues, and the threat of obsolescence is driving many cities, urban planners, developers, and businesses to invest in the future. Identifying significant shifts in transportation, communication, and energy, Lakamp saw an opportunity to solve a problem that innovation imposes on our aging buildings. For example, as millions of electric vehicles begin to flood the market in the years ahead, a major investment in infrastructure will be required to support them. 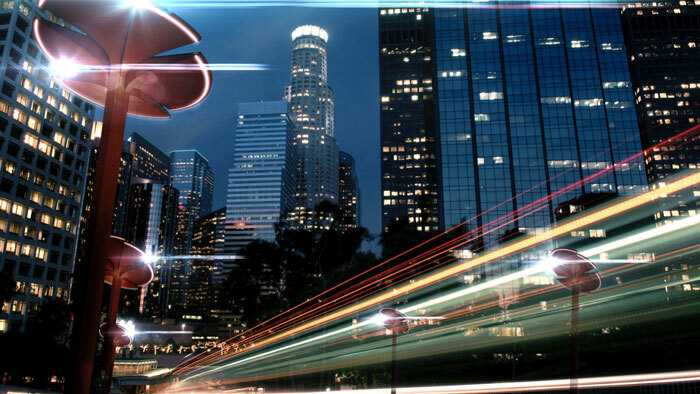 Similarly, as buildings are rewired with higher-gauge electrical cabling to accommodate new energy and communications networks, it’s clear that smarter, more flexible solutions are required to meet these ever-increasing demands. To that end, Lakamp launched Totem, a groundbreaking energy solution that reimagines and redesigns smart utility. 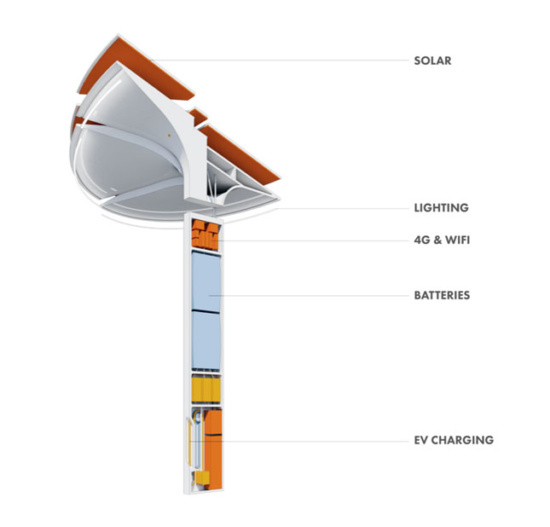 The Totem platform combines solar energy and energy storage, WiFi and 4G communications, electric vehicle charging, and smart lighting into a single, powerful product that weaves these capabilities directly into the built environment. Totem is, at its core, a vertical server rack that’s designed to support evolution in technology over time. Its base product deploys over 40 kWh of energy storage that serves as a grid asset and dynamic energy foundation that ensures energy quality and provides critical resilience in the event of broader grid issues. Integrated solar generation, electric vehicle charging, and LED lighting add further capability to each Totem and sophistication to each property’s energy assets. Totem also provides a reliable hub for Wi-Fi, 4G, and 5G cellular services to bring high-speed connectivity to properties and communities. Through its modern connectivity platform, it also presents a key communications gateway for IoT devices on and around properties.